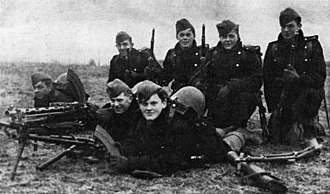 The Danish resistance movements (Danish: Modstandsbevægelsen) were an underground insurgency to resist the German occupation of Denmark during World War II. Due to the initially lenient arrangements, in which the Nazi occupation authority allowed the democratic government to stay in power, the resistance movement was slower to develop effective tactics on a wide scale than in some other countries. By 1943, many Danes were involved in underground activities, ranging from producing illegal publications to spying and sabotage. Major groups included the communist BOPA (Danish: Borgerlige Partisaner, Civil Partisans) and Holger Danske, both based in Copenhagen. Some small resistance groups such as the Samsing Group and the Churchill Club also contributed to the sabotage effort. Resistance agents killed an estimated 400 Danish Nazis, informers and collaborators until 1944. After that date, they also killed some German nationals. During the invasion of Denmark on April 9, 1940 and subsequent occupation, the Danish king and government chose not to flee the country and instead collaborated with the German authorities who allowed the Danish government to remain in power. The Germans had reasons to do so, especially as they wanted to showcase Denmark as a "model protectorate", earning the nickname the Cream Front (German: Sahnefront), due to the relative ease of the occupation and copious amount of dairy products. As the democratically elected Danish government remained in power, Danish citizens had less motivation to fight the occupation than in countries where the Germans established puppet governments, such as Norway or France. The police also remained under Danish authority and led by Danes. Immediately after the occupation, isolated attempts were made to set up resistance and intelligence activities. Intelligence officers from the Danish army, known as the "Princes," began channeling reports to London allies as early as April 13, 1940. Soon afterwards, Ebbe Munck, a journalist from Berlingske Tidende, arranged to be transferred to Stockholm. From there he could more easily report to and communicate with the British. Following the Nazi invasion of the Soviet Union on June 22, 1941 the Germans banned the Danish Communist Party and had the Danish police arrest its members. Those members who either avoided arrest or later escaped thus went underground and created resistance cells. From October 1942, they published a clandestine newspaper, Land og Folk ("Land and People"), which was distributed widely across the country. Circulation grew to 120,000 copies per day by the end of the occupation. At the beginning of 1943, the cells were centrally coordinated under BOPA (Borgerlige Partisaner - Civil Partisans), which also began to plan acts of sabotage. The number of Danish Nazis was low before the war, and this trend continued throughout the occupation. This was confirmed in the 1943 parliamentary elections, in which the population voted overwhelmingly for the four traditional parties, or abstained. The latter option was widely interpreted as votes for the Danish Communist Party. The election was a disappointment for the National Socialist Workers' Party of Denmark (DNSAP) and German Reichsbevollmächtigter. Dr. Werner Best abandoned plans to create a government under Danish Nazi leader Frits Clausen, due to Clausen's lack of public support. On 23 April 1940, members of Danish military intelligence established contacts with their British counterparts through the British diplomatic mission in Stockholm. The first intelligence dispatch was sent by messenger to the Stockholm mission in the autumn of 1940. This evolved into regular dispatches of military and political intelligence, and by 1942-43, the number of dispatches had increased to at least one per week. In addition, an employee of Danmarks Radio was able to transmit short messages to Britain through the national broadcasting network. The intelligence was gathered mostly by officers in the Danish army and navy; they reported information about political developments, the location and size of German military units, and details about the Danish section of the Atlantic Wall fortifications. In 1942, the Germans demanded the removal of the Danish military from Jutland, but intelligence operations continued. It was carried out by plainclothes personnel or by reserve officers, since this group was not included in the evacuation order. Following the liberation of Denmark, Field Marshal Bernard Law Montgomery described the intelligence gathered in Denmark as "second to none". In particular, the Danish Freedom Council was set up in September 1943, bringing together the various resistance groups in order to improve their efficiency and resolve. An underground government was established. Allied governments, who had been skeptical about Denmark's commitment to fight Germany, began recognising it as a full ally. Due to concerns about prisoners and information held in Gestapo headquarters at the Shellhus in the centre of Copenhagen, the resistance repeatedly requested a tactical RAF raid on the headquarters to destroy records and release prisoners. Britain initially turned down the request due to the risk of civilian casualties, but eventually launched Operation Carthage, a very low-level raid by 20 de Havilland Mosquito fighter-bombers, escorted by 30 P-51 Mustang fighters. The raid succeeded in destroying the headquarters, releasing 18 prisoners of the Gestapo, and disrupting anti-resistance operations throughout Denmark. However, 125 civilians lost their lives due to the errant bombing of a nearby boarding school. In 1943, the movement scored a great success in rescuing all but 500 of Denmark's Jewish population of 7,000-8,000 from being sent to the Nazi concentration camps by helping transport them to neutral Sweden, where they were offered asylum. The Danish resistance movement has been honoured as a collective at Yad Vashem in Israel as being part of the "Righteous Among the Nations". They were honoured as a collective rather than as individuals at their own request. By the end of the war, the organized resistance movement in Denmark had scored many successes. It is believed to have killed nearly 400 persons (the top official number is 385) from 1943 through 1945, who were Danish Nazis, informers or collaborators thought to pose a threat to the Resistance, or Danes working for the Gestapo. The rationale behind the executions was discussed, and several accounts by participants said a committee identified targets, but no historic evidence of this system has been found. 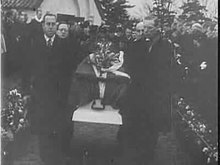 In the postwar period, while the killings were criticized, they were also defended by such politicians as Frode Jakobsen and Per Federspiel. The movement lost slightly more than 850 members, in action, in prison, in Nazi concentration camps, or (in the case of 102 resistance members) executed following a court-martial. Since the late 20th century, there has been more discussion about the morality of some of the killings carried out by the resistance, sparked by a TV series about the death of Jane Horney, a Danish citizen killed at sea in what Frode Jakobsen defended as an act of war. With the 60th anniversary of the end of the war, the issue was re-examined in two new studies: Stefan Emkjar's Stikkerdrab and Peter Ovig Knudsen's Etter drabet, "the first profound approaches into the topic." Both authors used veterans of the resistance movement, and covered the sometimes contingent, improvised nature of some of the actions. It suggested that some of the noted Bent Faurschou-Hviid (Flammen)'s executions may have been mistakenly directed by a double agent. Knudsen's work was adapted as a 2-hour documentary film, With the Right to Kill (2003), which was shown on TV and later released in theaters. These works have contributed to a national discussion on the topic. Flame and Citron (Flammen og Citronen, 2008) is a fictionalized drama film based on historic accounts of the two prominent Danish resistance fighters, directed by Ole Christian Madsen. It portrays some of the moral ambiguity of their actions. The extent to which the Danish resistance played an important strategic role in the war has been the subject of much discussion. Immediately after the war and until about 1970, the vast majority of accounts overrated the degree to which the resistance had been effective in battling against the Germans by acts of sabotage and by providing key intelligence to the Allies. More recently, however, after re-examining the archives, historians concur that, while the resistance provided a firm basis for moral support and paved the way for post-war governments, the strategic effect during the occupation was limited. The Germans did not need to send in reinforcements to suppress the movement, and garrisoned a comparatively small number of Wehrmacht troops to defend the country. The resistance did not enter into active combat. Even the overall importance of Danish intelligence in the context of Ultra is questionable. "caused strain and embarrassment to the enemy...[and a] striking reduction in the flow of troops and stores from Norway [that] undoubtedly had an adverse effect on the reinforcements for the battles East and West of the Rhine." Examining the British archives, Jespersen also found a report concluding "that the overall effect of Danish resistance was to restore national pride and political unity." He agreed that this was the movement's most important contribution to the nation. Stefan Emkjar's Stikkerdrab (Killing of Informers: The Resistance Movements' Liquidation of Danes during the Occupation, 2000) and Peter Øvig Knudsen's Etter drabet (Following the Death: Reports of the Resistance Liquidations, 2001), were both non-fiction studies of the resistance, published before the 60th anniversary of the end of the war. Flame and Citron (Flammen og Citronen) (2008) is a drama film based on two prominent Danish resistance fighters,; it is directed by Ole Christian Madsen. The Boys from St. Petri, a 1991 Danish drama film. ^ Per Eilstrup, Lars Lindeberg: De så de ske under Besættelsen. Forlaget Union, Copenhagen, 1969. ^ Nielsen, Martin (1947). Rapport fra Stutthof [Report from Stutthof] (in Danish). Gyldendal. 170 pages. ^ Resistance in Western Europe, edited by Bob Moore, p. 105. ^ Bjørn Pedersen: Jubel og glæde. (in Danish) Retrieved 21 April 2008. ^ Jerry Voorhis, “Germany and Denmark: 1940-45,” Scandinavian Studies 44:2 (1972) p. 183. ^ Rasmussen, Anita Brask (21 March 2012). "Bombningen af Den Franske Skole blev redigeret ud af erindringen" [The bombing of the French School was edited out of the remembrance] (in Danish). Dagbladet Information. Retrieved 4 December 2014. ^ The Rescue of Danish Jews, Jewish Virtual Library, Retrieved 17 April 2008. ^ UNITED STATES HOLOCAUST MEMORIAL MUSEUM. 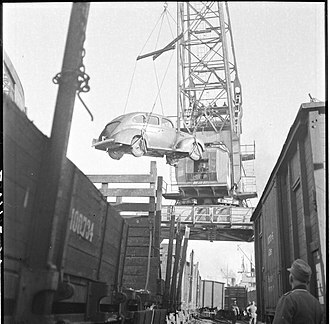 "RESCUE IN DENMARK". ^ "The Rescue of Danish Jews". Jewish Virtual Library. Retrieved 2016-02-08. ^ "The Rescue of Denmark's Jews". Yad Vashem. Retrieved 2016-02-08. The Underground did not receive the Righteous Among the Nations title, which is only awarded to individuals, not to groups. This was also in the spirit of the request expressed by the members of the Danish underground not to honor them as individuals. ^ a b Clement Maier, Making Memories: The Politics of in Postwar Norway and Denmark, pp. 259-263, 2007 thesis at European University Institute, available online as pdf. ^ Quistgaard, Georg (1944). Fængselsdagbog og breve [Prison Diary and Letters] (in Danish). Prefaced by Elias Bredsdorff. Copenhagen: Nyt Nordisk Forlag, Arnold Busck (published 1946). 101 pages. ^ "Varinka Wichfeld Muus (1922 - 2002 )". Dansk Kvindebiografisk Leksikon (in Danish). KVINFO. Retrieved 5 August 2018. ^ "Denmark, Historical Role," by Hans Kirchoff in Resistance in Western Europe (p. 112 et seq). ^ a b c Hayden B. Peake, "The Intelligence Officer's Bookshelf", includes a review of Knud Jespersen's No Small Achievement, CSI Studies, Vol. 48, No.1, Retrieved 19 April 2008. 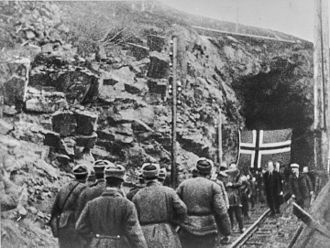 The German occupation of Norway began on 9 April 1940 after German forces invaded the neutral Scandinavian country of Norway. Conventional armed resistance to the German invasion ended on 10 June 1940, throughout this period, Norway was continuously occupied by the Wehrmacht. This period of occupation is in Norway referred to as the war years or occupation period. By the late 1930s, the Norwegian parliament had accepted the need for a military and expanded the budget accordingly. As it turned out, most of the plans enabled by the expansion were not completed in time. Although neutrality remained the highest priority until the invasion was a fait accompli, it was throughout the government that Norway, above all. By the autumn of 1939, there was a sense of urgency that Norway had to prepare, not only to protect its neutrality. 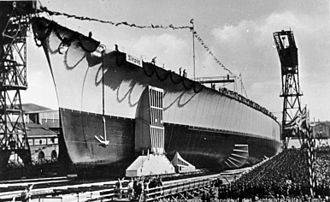 Efforts to improve military readiness and capability, and to sustain an extended blockade, were intensified between September 1939 and April 1940, several incidents in Norwegian maritime waters, notably the Altmark incident in Jøssingfjord, put great strains on Norways ability to assert its neutrality. 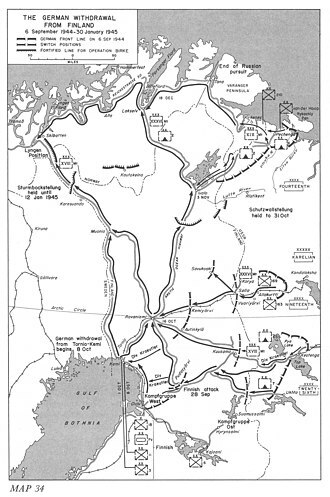 In March and April 1940, British plans for an invasion of Norway were prepared, mainly in order to reach and it was hoped that this would divert German forces away from France, and open a war front in south Sweden. It was agreed that mines would be laid in Norwegian waters, because of Anglo-French arguments, the date of the mining was postponed from 5 April to 8 April. A major storm on 7 April resulted in the British Navy failing to make contact with the German shipping. 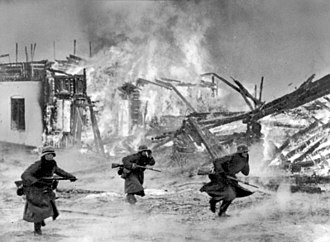 Consistent with Blitzkrieg warfare, German forces attacked Norway by sea, the first wave of German attackers counted only about 10,000 men. In the other cities that were attacked, the Germans faced only weak or no resistance, the surprise, and the lack of preparedness of Norway for a large-scale invasion of this kind, gave the German forces their initial success. The major Norwegian ports from Oslo northward to Narvik were occupied by advance detachments of German troops, at the same time, a single parachute battalion took the Oslo and Stavanger airfields, and 800 operational aircraft overwhelmed the Norwegian population. In 1940, Greenland was a Danish colony. The fall of Denmark to German invasion in April 1940 left Greenland an unoccupied territory of an occupied nation, to forestall this, the United States acted to guarantee Greenlands position. However, with the entrance of the United States into the war in December 1941, the U. S. Coast Guard provided a considerable portion of the civilian resupply task up and down both coasts. Before the war, Greenland was a tightly controlled colony of Denmark, after the Invasion of Denmark on 9 April 1940, Greenland was left on its own, because the Royal Navy seized any ships arriving from Axis-controlled Europe. Britain and Canada initially laid plans to occupy points of interest on the island and this step was taken in coordination with the Danish envoy to Washington D. C. Henrik de Kauffmann, and the U. S. State Department and this diplomatic stance was seen as an extension of the Monroe Doctrine. Although the Danish government continued in power and still considered itself neutral, Kauffmann immediately recognized that his government was unable to exercise its full sovereignty, and therefore began to act in an independent capacity. 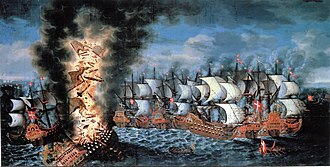 On 13 April he took council with the Greenland sheriffs, the Danish Government continued to send orders to the colony via radio and through Portugal, but these messages were ignored. In this decision they were influenced by their determination to avoid becoming subject to a Canadian occupation, the Greenlanders were aware of the heavy Norwegian presence in Canada. In the event that Canada attempted to occupy the colony, they were worried that Free Norwegian Forces would be stationed in the area. 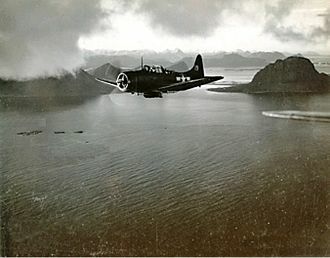 This was a cause for concern, as the Norwegians had been vying for control over part of the territory until the Permanent Court of International Justice settled the dispute in 1933. Accepting the protection of the Americans, a party, was seen as less of a threat to Greenlands sovereignty. 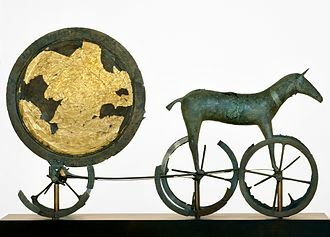 Comanche arrived at Ivigtut on 20 May, and Godthaab on 22 May, Canada sent a consul and vice-consul to Godthaab two weeks later. 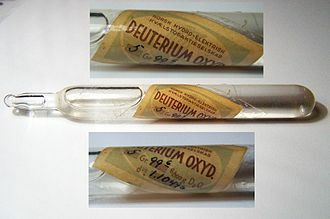 In 1940, the concern of all interested parties was to secure the strategically important supply of cryolite from the mine at Ivigtut. 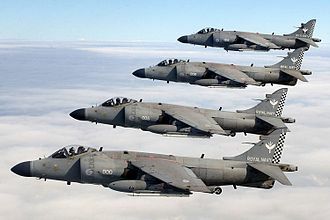 The Fleet Air Arm is the branch of the British Royal Navy responsible for the operation of naval aircraft. The Fleet Air Arm currently operates the AgustaWestland Merlin, Westland Sea King, and AgustaWestland Wildcat helicopters, helicopters such as the Lynx and Westland Wasp have been deployed on smaller vessels since 1964, taking over the roles once performed by biplanes such as the Fairey Swordfish. 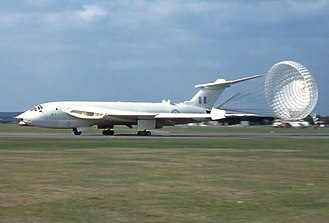 During the Second World War, the Fleet Air Arm operated aircraft on ships as well as land-based aircraft that defended the Royal Navys shore establishments, British naval flying started in 1909, with the construction of an airship for naval duties. The Naval Wing of the RFC lasted until July 1914 when the Royal Navy reformed its air branch, under the Air Department of the Admiralty, naming it the Royal Naval Air Service. By the outbreak of the First World War, in August 1914, the RNAS had more aircraft under its control than the remaining RFC. In April 1918 the RNAS, which at this time had 67,000 officers and men,2,949 aircraft,103 airships and 126 coastal stations, merged with the RFC to form the Royal Air Force. On 1 April 1924, the Fleet Air Arm of the Royal Air Force was formed, encompassing those RAF units that normally embarked on aircraft carriers, over the following months RAF Fleet Air Arm Fairey IIID reconnaissance biplanes operated off Hermes, conducting flying trials. 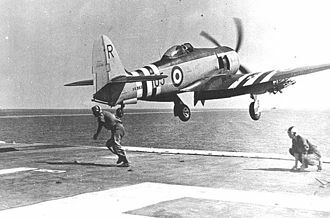 On 24 May 1939 the Fleet Air Arm was returned to Admiralty control under the Inskip Award, at the onset of the Second World War, the Fleet Air Arm consisted of 20 squadrons with only 232 aircraft. By the end of the war the strength of the Fleet Air Arm was 59 aircraft carriers,3,700 aircraft,72,000 officers and men. 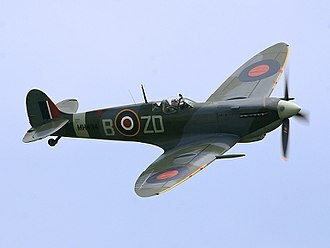 During the war, the FAA operated fighters, torpedo bombers, following the Dunkirk evacuation and the commencement of the Battle of Britain, the Royal Air Force soon found itself critically short of fighter pilots. In the summer of 1940, the RAF had little more than 800 fighter pilots, with this desperate situation the RAF was forced to call upon the Admiralty for Fleet Air Arm assistance. 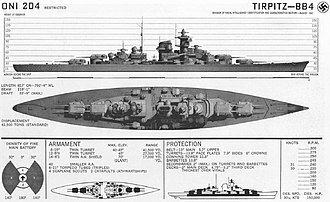 The aircraft carrier had replaced the battleship as the Fleets capital ship, the top scoring fighter ace with 17 victories was Commander Stanley Orr, the Royal Marine ace was Ronald Cuthbert Hay with 13 victories. 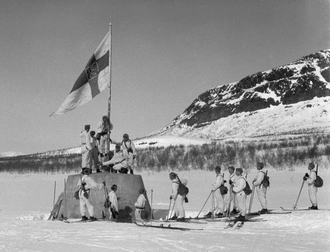 The Norwegian resistance to the occupation of Norway by Nazi Germany began after Operation Weserübung in 1940 and ended in 1945. Although some of the gold reserve had already been removed from Oslo. The German demand that Norway accept the protection of the Reich was rebuffed by Koht, vi gir oss ikke frivillig, kampen er allerede i gang, replied Koht. We will not submit voluntarily, the struggle is already underway, in large part because of the presence of mind of the parliaments president C. J, the Storting managed to pass a measure that gave full authority to the king. This gave King Haakon VII and the constitutional authority to reject the German emissarys ultimatum to accept the German invasion. Reserving the constitutional legitimacy of the Norwegian government undermined Vidkun Quislings attempts at claiming the Norwegian government for himself, after Quisling had proclaimed his assumption of the government, several individuals on the Supreme Court took the initiative to establish an Administrative Council in an effort to stop him. 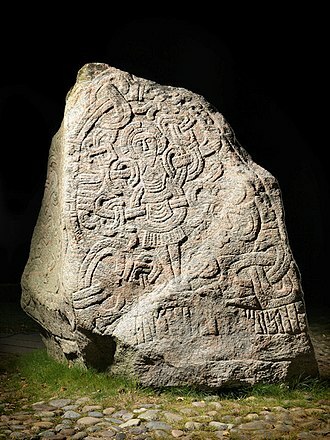 This became an initiative, in that the legitimate Norwegian government refused to give the council any legal backing. As a result, forces in Southern Norway were largely unprepared for the German invasion, the battles slowed down the German advance by several days, allowing the Norwegian government to evade capture and conduct critical constitutional business. The British and French began landing on Norwegian soil within a week of the German invasion, Allied forces had several successes in Northern Norway, but were redirected for the futile defense of France. 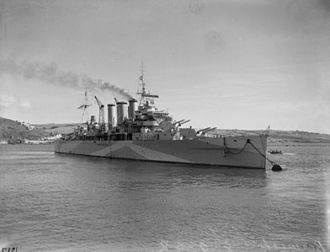 While stationed in London, the government contributed Norwegian forces to the Allied effort, to facilitate this the ships were operated under the Nortraship organization, at that time the worlds largest shipping company. Although Norway did not have any major battles beyond those of the Norwegian Campaign, milorg started out as a small sabotage unit and ended up building a full military force in time for the liberation. Company Linge was a special unit that specialized in coastal insertions. Soviet Planning for the Operation.